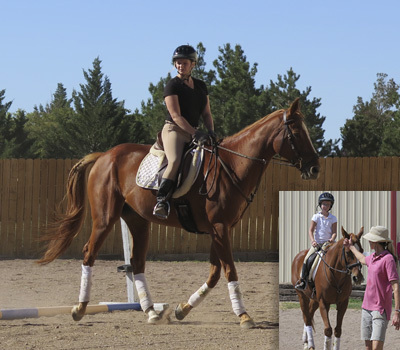 At The Ranchette Veley Equestrian Center we offer private and semi-private riding lessons for those interested in simply gaining more skill and understanding, as well as for those interested in showing. Twice a year we host two schooling shows where dressage, jumping, trail and flat classes are offered. Riders of all ages and skill levels participate. We also offer horse camps where riders spend all day immersed in fun horse-related activities. Even very young children enjoy horses through our Kinder Rides, while older adults pursue the passion they have always loved. 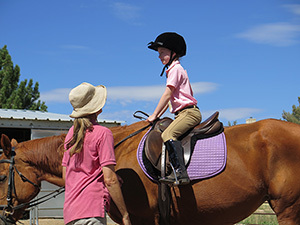 The Ranchette Veley Equestrian Center also offers Birthday Parties and horse experiences for autistic children through The Southern Utah Autism Support Group. "Ride EVERY step rings true with each ride. Best takeaway ever. Gail is the bomb."